As with the Roots workout, I began the Intervals routine at “Level 1.” Intervals begins with a new warm up which uses the scorpion stretch. I hate scorpion for the same reason I hate the yoga “Bow” pose. You lie prone, face in the carpet, and bend your back upwards as you attempt to lift your leg up and move your foot into the direction of the opposite hand which is extended out to your side. Bending backwards is my biggest (known) weakness for yoga and stretching. I lack the range of motion it demands. I suppose this is why I need it. Admittedly, I’ve found that if I dislike a particular exercise, it’s precisely because it identifies a weakness that needs to be corrected. So, I do it, dust mites in the carpet and all. Once the warm up is complete, the Intervals workout begins. 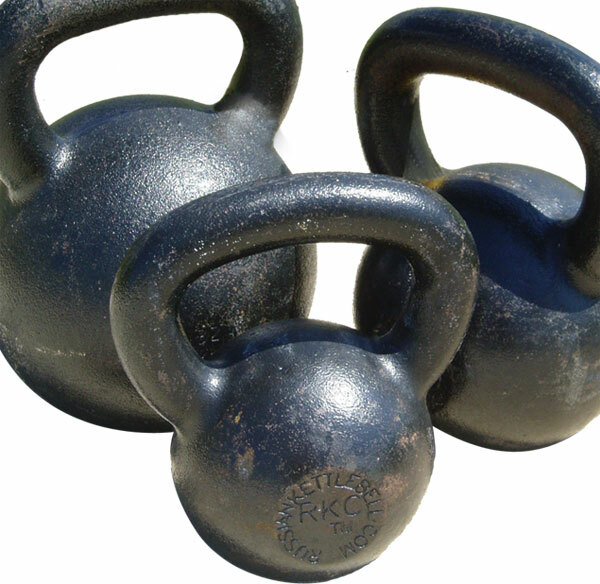 With the Skogg System, you employ the same six kettlebell moves throughout the 12 weeks. I think this is good because: 1) they are clearly effective moves that target every muscle group and 2) it increases the chance that I may achieve competence with the moves through repetition. Intervals adds the variation that you perform two moves in sequence, once per side before taking a break and moving on to the next sequence. Consequently, it’s more demanding and my heart rate was definitely higher than when doing the Roots, level 1 workout. The cool down was another yoga-inspired sequence that did a good job relaxing the shoulders, lats, hip-flexors and hamstrings. I continue to use P90X3 Yoga on alternating days and I find it’s an excellent compliment to the weights. Tomorrow, it’s back to “Roots.” But I get to take it up a notch and see what “Level 2” is all about. This entry was posted in Round 13, Skogg System Kettlebell and tagged Intervals, Roots, Skogg, Yoga. Bookmark the permalink.